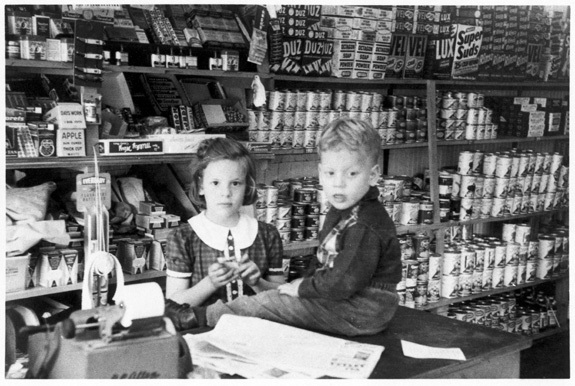 Blanche and Norman Weintraub, children of Leon and Guta Weintraub, in Leon's grocery store, January 1954. The store was located at 216 Rutledge Avenue in Charleston, South Carolina. The Weintraubs lived above the store.